Edinburg CISD recently announced the winners of its annual science fair contest, which attracted hundreds of competitors from approximately 40 elementary and middle schools. EDINBURG — Edinburg CISD recently announced the winners of its annual science fair contest, which attracted hundreds of competitors from approximately 40 elementary and middle schools. 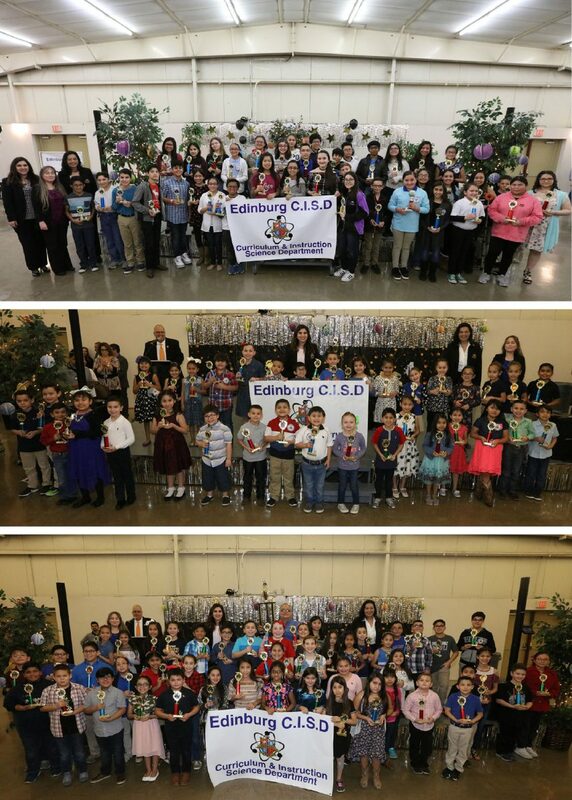 More than 200 students received trophies for their science projects during an awards ceremony, which the Edinburg CISD science department hosted at the Edinburg Activity Center. “We want our students to start thinking about careers in science that can be utilized in so many different fields,” ECISD Superintendent René Gutiérrez said. Dozens of science projects were on display, including experiments in chemistry, engineering, microbiology and physics. The elementary school students competed in 26 science categories and the middle school students competed in 15 science categories.